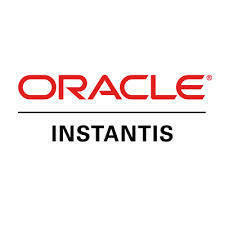 Oracle Instantis EnterpriseTrack is a leading cloud PPM solution used by IT and business process leaders to improve strategy execution and financial performance through more effective work and resource management. Connect your teams with integrated cloud services to manage deliverables, resolve issues, collect field data, share files, and drive project performance. Reduce IT costs and quickly create a work hub for Bentley software users and your entire project team with Azure-based instant-on services. Enhance ProjectWise Connection Services with information management and multi-discipline design coordination enabled by ProjectWise Design Integration. ProProfs Project is a simple project management software that helps managers organize various projects under one roof. From delegating tasks to tracking work progress, this online project management tool allows users to do it all using a single dashboard. Project managers also find this tool useful to collaborate across different departments and keep clients in the know-how of current work progress. Moreover, managers can generate insightful reports and raise invoices in a few clicks the moment a project gets completed. ProProfs Project also comes with powerful features such as budget management, resource management, tracking expenses, estimating project expenses, file sharing, Dropbox and Box integrations, and so on. So, whether you are a freelancer or a project manager at an enterprise, ProProfs Project is one of the best tools that helps you stay on top of all the projects and deliver them within deadlines. This easy project management software takes a few minutes to complete the signup process before you begin to nail those hectic deadlines and start exceeding client expectations by providing deliverables hassle-free. ProProfs Project is the sure shot way to keep your clients delighted. ScrumWorks Pro is an agile planning tool. It provides project management for Scrum, Lean, and Kanban. Tribe is the worlds only zero-adoption task manager. Manage your tasks from inside of your email, or from the Tribe mobile app, and never download or sign up for anything. Workstack is an online project management solution that makes team scheduling easy. Enjoy your online collaboration with a complete project management tool to plan, execute and track your projects. 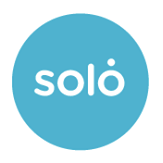 Easy to use, cross-browser and delivered as SaaS in the cloud. Collaborate. Celebrate! Clients & Profits helps you manage people, projects, media, and money. The lack of integration between virtual data rooms, spreadsheets and email used in due diligence management is highly inefficient. DealRoom is an integrated due diligence management platform that combines a secure virtual data room with communication and project management tools, reducing the time spent on due diligence by 25-40%. Nifty Project Management is the all-in-one solution for project management, team communication, and client collaboration. With your team communication and project discussions, tasks, docs, roadmaps, and files all in one place — Nifty lets you focus on building products instead of juggling tools. Viewpath is one of the leading providers of enterprise-grade project management and resource planning solutions to Fortune 1000 companies across a number of vertical markets. Viewpath provides project, program, and task management SaaS software. Viewpath promotes collaboration and visibility among team members. The solution is used by both first-time and experienced project managers. Viewpath’s cloud-based project management and resource management suite is proven, robust, and scalable. 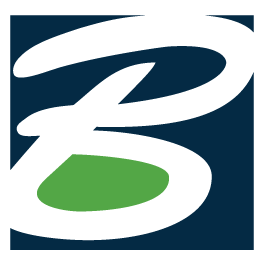 Binfire takes a really satisfying set of options and couples that with a really intuitive interface to great effect! Brainstorm better concepts. Together with your team. Casual is a visual project management tool that organizes projects as workflows. Comindware Project is a Project Management Software that brings innovative technology for successful planning, execution and collaboration in projects. It is for teams and businesses that offer time-sensitive products and services expected to be delivered with the highest quality. Unique Features: - Automated Priority-based Planning allows to get rid of unproductive manual task scheduling. Project plan is created automatically after you assign tasks to the team members and define priorities with intuitive drag-and-drop UI. - Predictive Real-time Gantt-chart makes it easy to stay on track of your project status. Delayed work automatically rescheduled to the future to show you real project milestones and deadlines. - Unparalleled Team Collaboration capabilities dramatically boost employee productivity by allowing teams to collaborate in the context of their work. Comindware offers flexible pricing that should fit the full range of organizations, and is available in Cloud and on-premises versions. Duet is a self hosted project management software that keep users data always private, it is brandable to match business. Earliz is a tool dedicated to the success of all projects: intuitive management, effortless monitoring and simplified communication. Involve your teams through social tools, and get at any time automatic, customizable and editable follow-up reports. Already used in 137 countries! Earliz, your FREE project management and monitoring software: - An intuitive project management tool for all your needs (Agile/Planning). - An effortless monitoring, to enjoy at any time automatic, customizable and editable follow-up metrics. - A simplified communication, to share all your documents, and debate online with your team using blogs, forums, chats or comments. - At each step, our video tutorials are available to assist you! - Choose the language of your interface: English, French, Spanish or Italian. - And stay connected to all your favorite online services like Google Calendar, Google Drive or Dropbox. Unlimited projects, teams and storage: do not hesitate! Grokdo is a collaborative app that represent sensible, achievable jobs that the team would work together to achieve in real life, the team can create as many goals as they like and manage their goals in a way that suits them. OpenProj is an open-source desktop project management software. Pagico is a productivity suite that helps you manage projects, contacts, daily tasks and files. PlanHammer is a traditional project management and planning tool for upstream reporting, wrapped together with agile downstream task assignment boards , optimized for collaboration and communication in the browser, tablets, and mobile. Proggio is the project management software for teams doing great things together. Using a dynamic projectmap instead of a Gantt chart, Proggio delivers clarity with stunning visuals. The projectmap captures the whiteboard feel with project planning, allowing a team to create a plan in minutes. Task management tools, analytics, and customization options help you manage the project to successful delivery. Sign up for a free trial today! Integrated Project, Task and Team Evaluation Tool Manage project flow right from admin to manager to team to client with a simple and easy to use dashboard. Project Drive is a project management that will enable users to stay focused and organized in order to complete tasks on time and within budget. Users can collaborate and comment on projects with other users. Information is tracked and users can view multiple versions of documents. Project List is a lightweight project management dashboard that tracks the stuff that matters most to your progress so you can get back to work. RedmineUP Cloud is a project management application based on Redmine platform integrated with additional modules, hosted in the cloud.Apart from a convenient Agile project management, modules allow managing billing, CRM, Helpdesk, HR, products & services, and other processes. Data is stored on advanced, fast and safe server infrastructure and backed up daily.